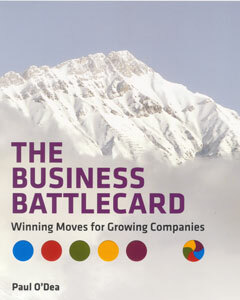 Using five simple, but crucial questions, THE BUSINESS BATTLECARD helps you craft a winning strategy to grow your company and rally your team. A strategy that will win you the war on several fronts: the battle against competitors, the battle for customers' minds, the battle for investors' wallets, and the battle for employees' hearts. The book's pledge is: to show you how to devise a clear strategy to grow your business, get your team aligned around it, and then execute it. It gives you simple, practical tools to grow and manage your business.